Met with the KC to discuss possible changes to the breed standards for brachycephalic breeds. Contributed to the development of brachycephalic health schemes (along with the BVA, the KC and the University of Cambridge). Actively been involved in many of the activities of the Canine Feline Sector Group (CFSG) http://www.cfsg.org.uk/_layouts/15/start.aspx#/SitePages/Home.aspx which seeks to improve the health and welfare of dogs and cats by working in partnership with MPs, government, NGOs, leading charities and a broad spectrum of companion animal stakeholders. Published an article in BSAVA’s internal monthly publication covering scientific aspects and management of brachycephalic health and welfare problems. Provided CPD for vets on brachycephalic breeds through a dedicated stream featured at BSAVA congress. Featured a session on the puppy trade at the 2018 BSAVA congress, in particular of relevance to brachycephalic breeds. Liaised with RCVS to ensure clarity on the desired veterinary approach when dealing with potential, new or existing brachycephalic-owning clients. Contributed to the FVE Consultation on ‘Breeding Healthy Dogs’ – covers FVE policy, recommendations and actions regarding supply and demand of brachycephalic breeds. Developed a good practice guide for the responsible use of pet animals in advertising. Developed a position on extreme conformation across species, setting out how the veterinary profession and key stakeholders can work together to ensure healthier future generations of animals. Met with vets attending Crufts 2018 for updates on the current vet-check systems in place. Formed a strategy to mitigate the harms from Disney’s Patrick the Pug movie. 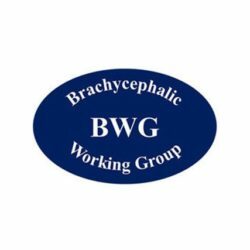 Formed a Brachycephalic Research Team that has a vision to reduce the negative welfare impacts of brachycephalism on companion animals through world-leading research and education. Worked in collaboration with the University of Cambridge to review the breed standards and points of concern for brachycephalic breeds and made recommendations. Published an open letter in the Veterinary Record, released to the wider media, urging marketing bodies not to use brachycephalic breeds in their campaigns. Continued to publish evidence on brachycephalic health. Continued to develop a Puppy Contract to encourage those buying and breeding puppies to do so responsibly. The Kennel Club (KC) continues to develop Breed Health and Conservation Plans (BHCPs) for brachycephalic breeds, which ensure that all health concerns are identified through evidence-based criteria, and that breeders are provided with useful information and resources to support them in making balanced breeding decisions that make health a priority. By the end of November 2018, 40 breeds will have a BHCP document. Released a vital scheme, funded by The Kennel Club Charitable Trust, to improve health of Pugs, French Bulldogs and Bulldogs. Worked in collaboration with the Royal Veterinary College (RVC) to review the breed standards and points of concern for brachycephalic breeds and made recommendations.